Dreaming of a partridge in a pear tree this Christmas? 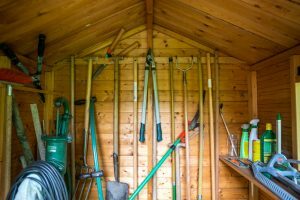 You may have been super-busy over summer with all those barbecues, keeping on top of the watering and running round after the kids; so now is a good time to have a tidy-up while there’s not as much going on. Spend some time raking up leaves, sweeping paths, sorting out the pond and tidying the shed ready for next year. Everyone wants a lush green lawn in summer, but you have to make sure you look after it during the winter months so it stays this way. Removing any weeds and moss is essential, keep on top of raking up fallen leaves (which can be added to your compost heap) and you could even invest in a specialist autumn feed to add to your lawn. Pots are an easy way to add plants to any type of garden; adding colour, texture and height. However some may struggle as soon as the sun disappears. Anything you have growing in pots will need their roots protecting. You can do this by wrapping a layer of bubble wrap around the pot, followed by something prettier and more durable, like hessian, to cover and disguise it. This will also protect pots such as terracotta, which are prone to flaking and splitting in the frost. Try building a protective barrier around any young plants and trees to protect them from whatever mother nature is about to send their way. This can be done with twigs, branches, moss; basically use what’s in your garden to build a layer between them and any heavy rain, snow, frost or wind. Birds, hedgehogs, insects are all part of a healthy garden ecosystem, and need extra help in winter. Make areas in your garden where they can shelter. Feeding local wildlife doesn’t need to be expensive or time consuming either – why not grab some cheap containers of cat or dog food and biscuits, and a big bag of fat balls next time you’re doing your weekly supermarket shop. You could even try making your own fat balls for the birds from leftovers and ingredients you already have in your kitchen. Make sure there’s always clean water available for all the little visitors in your garden too. Furniture, especially anything wooden, needs protecting so it’s still usable again in the summer. If not in use, pack it away in the shed or garage, or make sure to cover it if it has to stay outdoors. Winter is a good time to do any repairs you didn’t have time to do in the summer too, such as tightening bolts and screws, sanding and varnishing. If you have an outside tap that won’t be used again until next summer, it’s advisable to turn it off at the mains and drain the pipe to prevent any chance of the pipe bursting and damaging your tap. For any taps that will be in use, make sure to cover them. Tap covers can be found easily online and in garden centres, and won’t break the bank. Winter is the main time to prune fruit, trees, shrubs and roses. Read what to prune in winter, as suggested by Gardeners’ World, and how to do it correctly. Some people really stress about their garden when it starts snowing, but there are just a few things you need to remember so your garden doesn’t suffer. A light layer of the white stuff can actually protect plants and act as an insulator against frost and cold temperatures. However, if there’s a heavy downfall, shake it from branches of trees, shrubs and hedges to prevent any breakages, remove any large amounts of snow from your greenhouse roof and try not to walk on your lawn as it could permanently mark it and even encourage fungal diseases to grow. Get your garden summer-ready for 2019 so you can relax and enjoy your outdoor space with friends and family. Whether that’s smaller tweaks such as Garden Maintenance and Lawn Care, or bigger jobs like Garden Design and Styling, Landscaping and Construction, or even Outdoor Rooms and Kitchens; whatever you’ve got in mind, contact us today to discuss how our experts can turn your visions into a reality. Why not treat your loved-one to a very special Christmas gift this year and make all their dreams come true with a one-off bespoke garden? !